Order online using our secure sage pay system or pay by pay pal. Please note orders made between Wednesday 9am to Tuesday 9am may not be able to be delivered until that Thursday due to all our bait is rolled fresh to order. When ordering online as standard the automatic delivery day is set for the nearest avaliable day, but if you wish to have a specific day please select in the delivery slots option box. There is also the option to order up to 3 weeks in advance should you wish. There is also an option to have your order delivered before 12pm should you wish please note there is a £6 charge for this on all items. As we roll all our bait fresh to order how does it work? Tuesday deliveries have to be ordered before 9am Wednesday the week before. Wednesday delivery can be ordered before 9am Tuesday of that week. Thursday delivery can be ordered before 9am Wednesday of that week. Friday delivery has to be ordered before 9am Wednesday of that week. PLEASE NOTE if your Order is placed between WEDNESDAY 9AM - MONDAY 6PM the nearest available slot for delivery is wednesday of that following week. Please do not ask for tuesday delivery as the bait cannot be rolled on mondays. However Please contact us to ask if we can get the the bait to you sooner. We hope this makes it easier for you to plan your fishing and Tails Up will do everything we can to ensure your order is rolled packed and sent out for the delivery date you wish, if there is a problem due to the level of how busy we are we will contact you straight away to re arrange a convenient time if needs be. Postage and package costs are added to your cart at checkout when ordering online. 10kg and above Free Postage for online orders. Payments can be made by Card, PayPal and now Bank Transfer. Tails Up are now allowing Bank Tranfers, so Orders online, If you selected to pay by Bank Transfer then please use your # order number as reference when making payment. Orders will only be processed once payment has been made. Parcels are sent on Next day delivery, either on Standard 8am - 6pm or as a before 12pm service should you choose. 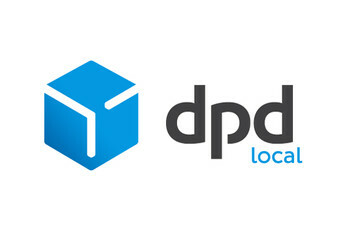 All frozen bait orders are sent by DPD Local, if you provide email and mobile contact number you will receive a text and email confirmation for your order and a hour delivery slot will be given. All orders are to be signed for by the purchaser or a representative of the purchaser. If this is not possible then a note may be added for delivery when checking out, with instructions of where to put the parcel. We can put a note on the system to leave the parcel in a safe place or with a neighbour. * The purchaser must accept full responsibility for the goods and any damage or loss after delivery in that instance. If you have not received your parcel on a standard delivery in the hour slot you have been given please contact Tails Up straight away so we can get it tracked and make sure its on its way to you. If you do not contact us by 5pm we may not be able to track the parcel till the following day further delaying the parcel in that case. For before 12pm deliveries please contact us immediately if the parcel has not arrive by 12pm. Any lost or damaged parcels must be reported to Tails Up in the first 24 hours of the parcels delivery date. If you do not report it then it may result in no replacement or refund of the goods. please take photograghs of goods and then contact tails up. Wednesday 4pm - 8pm (Late Night Wednesdays - till the last customers has been to collect) please contact us if you wish to pop in having not ordered. Orders can also be collected at other times as long as its has been arranged for a certain day / time. All products must be either pre paid or paid for on the day before being taken. Orders online, If you selected to pay by Bank Transfer then please use your # order number as reference when making payment. An email with your unique #ordernumber will be sent with the payment bank details for you to use. Drop off can also be made in the East anglia region for Bulk orders. Please contact Tails Up to discuss arangements. This is a service for our late night Wednesdays where by arrangement you can arrange time to pop in and see our products and have a chat about the bait your interested in. We offer a short term shelf life service for trips abroad or long sessions at home. For larger orders in the East Anglia region then there can be arranged drop offs. Please DO NOT ORDER ONLINE if you live in Northan Irelannd - Europe or further afield as UK postage is only added to orders. Please call 01245690707 or 07979157240 to make your order.